Like a smooth-running clock, time has come to bid a bittersweet goodby to our beautiful, sometimes goofy, and graceful-in-flight winter neighbors, the Sandhill cranes. Bittersweet because after delighting in their presence for the last five months or so it’s sad traveling Delta backroads and not seeing them feeding in the green fields or roosting for the night in flooded lands. The good news is, like the aforementioned clock, we can depend on their next arrival in mid to late October. 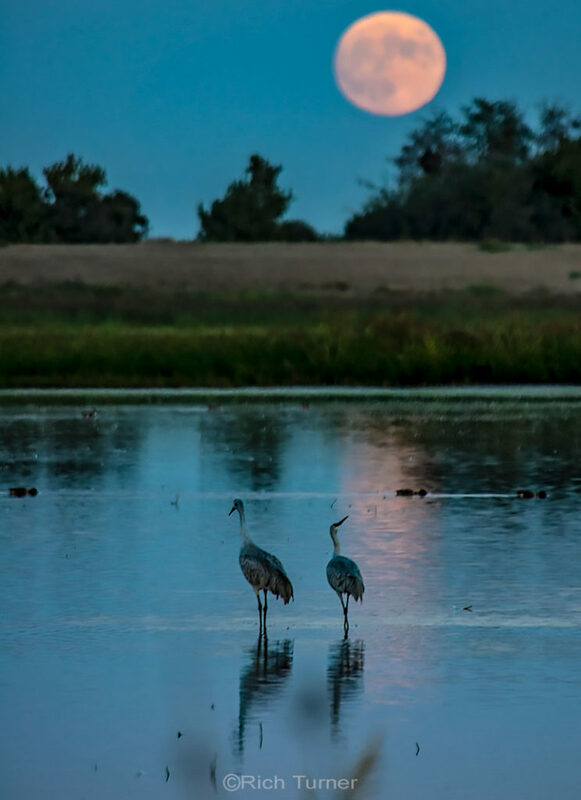 That’s when we will see – and hear – them arriving again from their summer homes in Alaska and other points in the far north for another winter season in the Sacramento-San Joaquin Delta. Sandhill cranes aren’t the only seasonal species to make their summer home in our own backyard. Here’s a figure for you — TEN MILLION. That’s the estimated number of birds, representing over 200 species, that pass through the California Delta each year. Prime time for this happening is between mid-October and mid-February. In later articles we’ll be exploring other birding opportunities in greater detail. For now we’re celebrating Sandhill cranes. 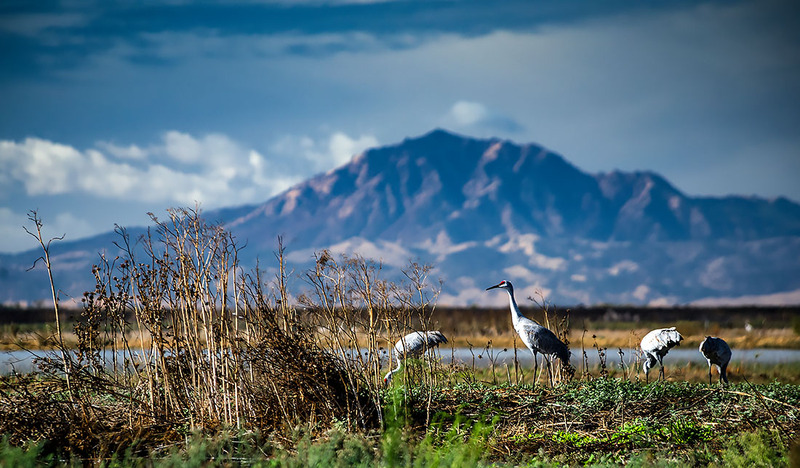 It’s virtually impossible to venture into the California Delta at any time of year — even more so in Fall and Winter — and not become a birdwatcher. 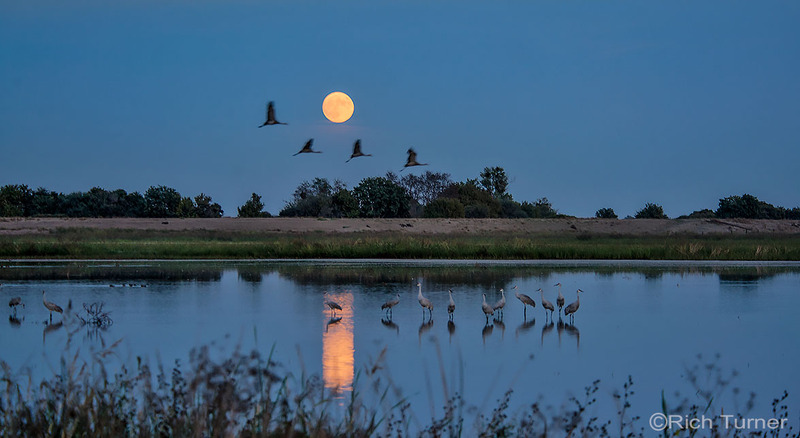 It may not be your intent but that could change quickly once you stumble upon a wintering flock of Sandhill cranes, a Blue Heron blending into its background of oleander, several thousand Snow Geese taking flight together, or an Egret gracefully lifting off the ground right before your eyes. Even if birdwatching is not the intended purpose for your Delta visit I dare you not to stop, watch, marvel and come away refreshed by one of nature’s miracles. While spending a lot of time roaming around the Delta, I’m not usually out specifically looking for birds. Nevertheless, when scenes like these happen to almost fall into my lap, I’m compelled to stop, marvel and photograph. 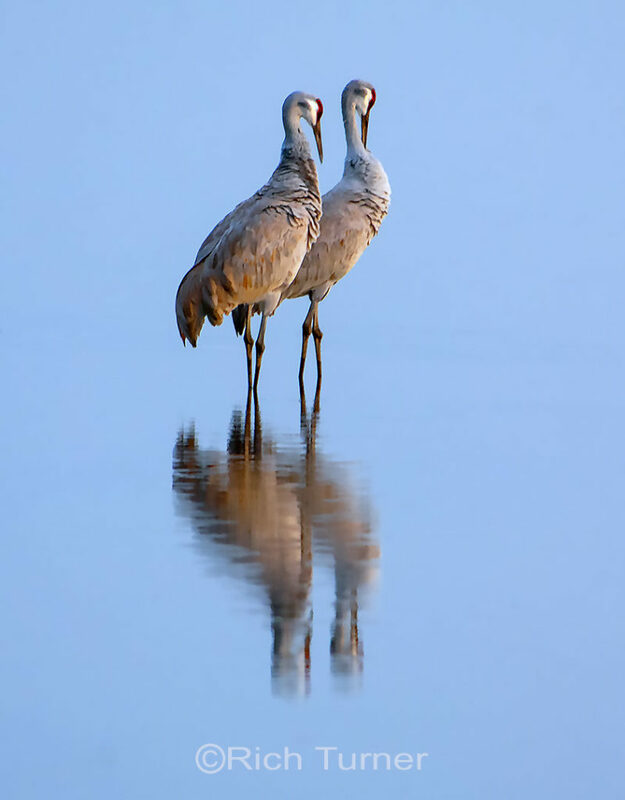 I hope you enjoy these Sandhill cranes from my recent archives. Though the cranes are gone for now, they will be back. Guaranteed. Sandhill cranes forage near Sycamore Slough. Sand Hill Cranes in formation against Mt. Diablo at Sycamore Slough. Means a lot coming from you, Dave!